Connectivity in rural Africa is a major constraint to economic growth. 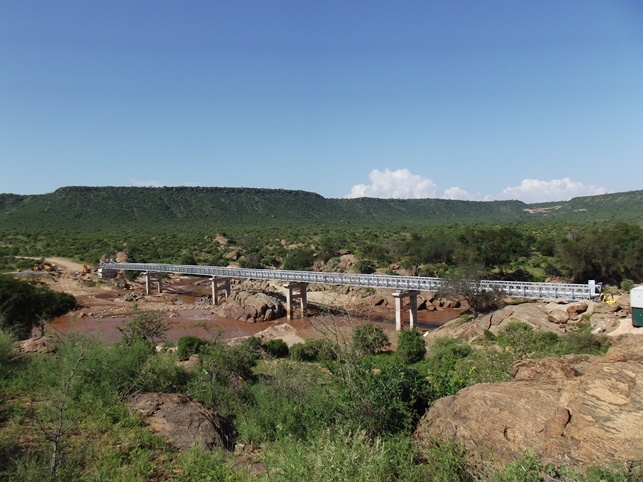 In many parts of the continent, rural bridges are being used to better connect communities, while also providing vital access to healthcare, education and a wider trading market, writes Darren Keep. Connectivity in rural South Africa is a major constraint. While technological innovations such as internet access and phone connectivity are playing a vital role in improving this, many communities still don’t have access to major road networks. This not only restricts market access and trading, but hinders safe access to schools and healthcare, critical in developing areas. For the country to grow both socially and economically remote communities must be able to connect with other villages, towns and cities in the vicinity and bridges have a fundamental role to play in this. Mabey has worked closely with communities in Africa for over 50 years and know first-hand the clear social and economic benefits bridges deliver - from the materials used to build them, all the way to how they impact the economy, the environment and most importantly, the people. Building bridges in rural areas provides improved and imperative access to schools, health centres and markets. This is a necessity, yet for many of these communities, they can be almost impossible to access. Bridges are helping connect people to these facilities on a daily basis. Another benefit is the training and employment of local people for these construction projects, helping to upskill the local people. 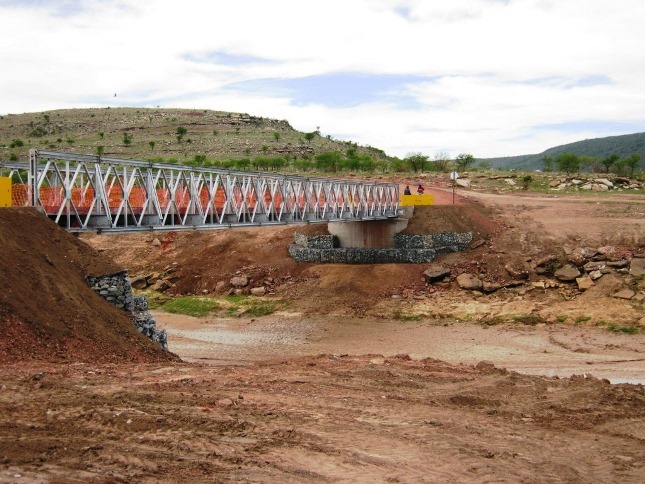 Take the construction of the Tsomo Bridge in the Eastern Cape of South Africa. 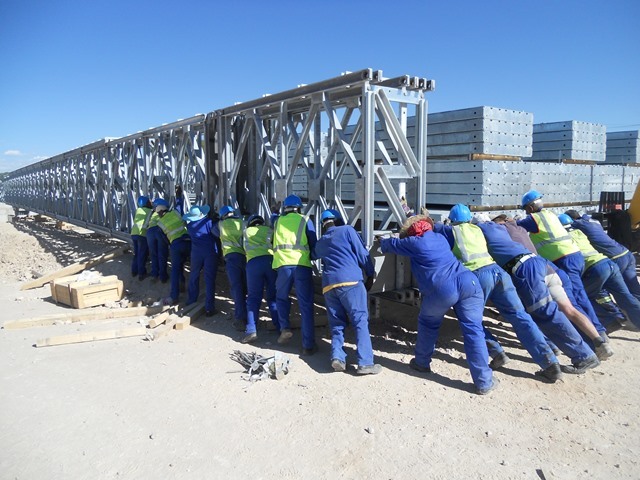 After this development, the local installation team could call on their knowledge and expertise to build the Bengu Bridge safely and efficiently in just six days. What’s more, the safe working culture encouraged by these bridges is usually applied to other work environments. These programmes can go a long way to empower the local community to take a more active role in the governance of their region and their livelihoods. Naturally, with the development of a new road bridge comes the improvement to transport in that area, minimising the number of accidents, limiting the distance people must walk and allowing the area to plan future road infrastructure development. In addition to these benefits is the positive impact bridges have on local economies. In the absence of a bridge, communities are often faced with a river or hollow they cannot cross. This severely limits the community’s ability to interact with its neighbours stifling markets and trade. Providing a river crossing via a road or a pedestrian bridge delivers ongoing access with nearby communities, as well as the means to travel even further afield. This gives them access to a greater number of customers, and breaks the difficulties many rural people face in reaching additional markets in which to sell their agricultural produce. Every project we have worked on in Africa has seen ongoing innovation in the bridge materials and installation methods used. You only have to look at the progression from the Bailey Bridge used in the 1940s compared to the Super Bailey in the 1970s and the Compact 200 today to see how quickly things change. Presently, one of the biggest advantages we have is using steel, an abundant and long-lasting material that can be recycled easily. With a life span extending to well over 100 years, steel is the perfect material to pre-fabricate bridges before they’re installed, meaning they’re ready to transport and assemble directly on site. 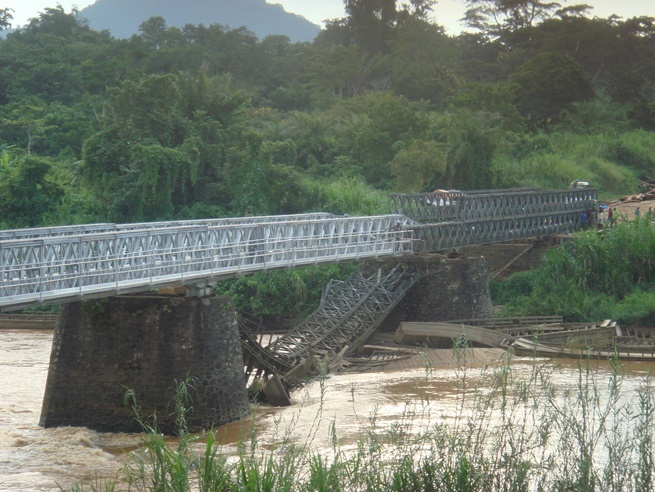 Often working under pressure to grant accessibility to areas as soon as possible, a pre-fabricated steel bridge can be built in less than a quarter of the time, and for half the price, compared with a similar-sized concrete bridge. Plus, with only a small construction site required, the bridge is far less disruptive to the environment around it. Innovation in bridge design is ongoing, but the direct engagement, local partnerships and collaboration on the ground represents the real innovations in rural connectivity. By working closely with rural communities, we aim to leave behind a legacy that extends beyond the structure itself, and opens a world of increased skills and opportunity. There’s still a long way to go, but we’re in it for the long-run. Darren Keep is sales manager at Mabey Bridge Limited.